Canada's Bishops Green is quickly becoming the premier Oi! band in the scene. Their has been an incredible buzz around their recent releases. They have been the topic of many discussions in the Oi! and punk scene, and rightfully so. At first I didn't like this release as much as their debut LP, but this has totally grown on me and I just can't stop listening to it. This is some seriously great Oi!, it is not generic at all and is refreshing as hell. I still do prefer their self titled debut release, because it was overall darker record. Either way, this is a must own for any Oi! fan. I believe this is the 2nd press. 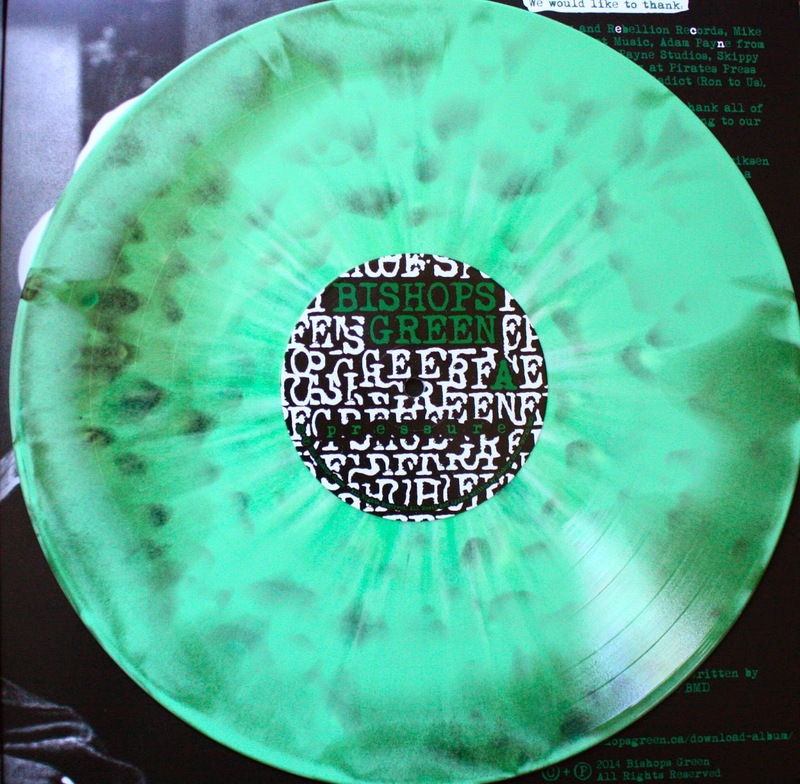 It is out of /250 and it listed as "Double Mint / Swamp Green with White, Kelly Green, Coke Bottle Green Splatter Vinyl". Pirates Press got creative with that one, but this is one of the most impressive looking slabs I have ever seen. With the embossed cover and gate fold to boot, Pirates Press went all in on this one.